Should your business take more proactive measures to preserve your fixed assets? Companies are adopting preventative maintenance strategies to increase the longevity and reliability of their industrial equipment. Preventative maintenance is defined as a set of logical, routinely performed maintenance tasks on operating equipment, intended to lessen the likelihood of equipment failure. 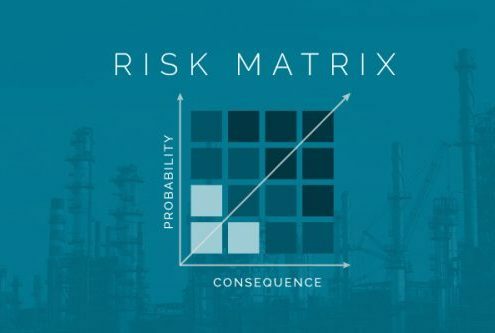 Across oil, power, and chemical industries, businesses are building these programs to reduce uncertainty around equipment conditions and monitor risks that could cause unexpected breakdowns. One of the components of preventative maintenance is implementing risk-based inspections. Risk-based inspections (RBI) are structured processes of planning, data collection, and evaluation to study plant equipment’s life cycles and make recommendations to optimize equipment usage. Risk-based inspections search for fixed-asset damage or warning signs of equipment failure before accidents happen. This process targets individual plant equipment through a cross-section of most at-risk and most integral to daily operations. By taking this approach, RBI monitors the assets that are critical to the business and forecasts the long-term effects of heavy equipment usage. One of the advantages of risk-based inspections is its cost-effectiveness. Preventative maintenance pulls the best investment out of individual equipment for maximum performance. Unlike unforeseen crises, costs of planned testing are scheduled and predictable. Unplanned, reactionary maintenance can incur major expenses and halt plant production. RBI gives leadership a more informed confidence of the reliability and future expenses of equipment. Other benefits include reduced downtime of machinery and routine monitoring regarding any applicable code or legislation, helping businesses maintain optimal production levels while adhering to legal obligations. RBI analysis pinpoints the probability of failure (PoF) and consequence of failure (CoF) across individual parts of equipment. While methods vary, their common purpose is to examine any damage or corrosion to critical components and anticipate future needs for replacements or repairs. Analyses can be conducted through qualitative, quantitative, or semi-quantitative methods. Whatever methods best serve your testing, best practice is to keep those methods consistent over time for historical data integrity. Using digital mobile data collection can help gather and protect data over time for easier reporting. Inspections are essential for oil and gas pipelines, pressure systems, storage tanks, steam and gas turbines, and heat recovery steam generators. Depending on your business’ needs, proper analysis may require specific tools to test for deterioration or degradation. For example, equipment showing signs of corrosion may need specific chemical treatments for resolution. General signs to look for include any dents or gouges, wall thinning, material flaws, cracks, welding defects, or changing properties of materials’ structure. Risk-based inspections are greatly helped through using mobile data collection tools. By using a digital platform, data can easily be measured across time to provide insights, influence pre-emptive repairs and keep track of equipment depreciation. For more information on digital platforms, see our recent blog on things to consider when implementing a mobile data collection solution.